Are you interested in the lute? Would you like to know more about this instrument, its music, its composers or players? 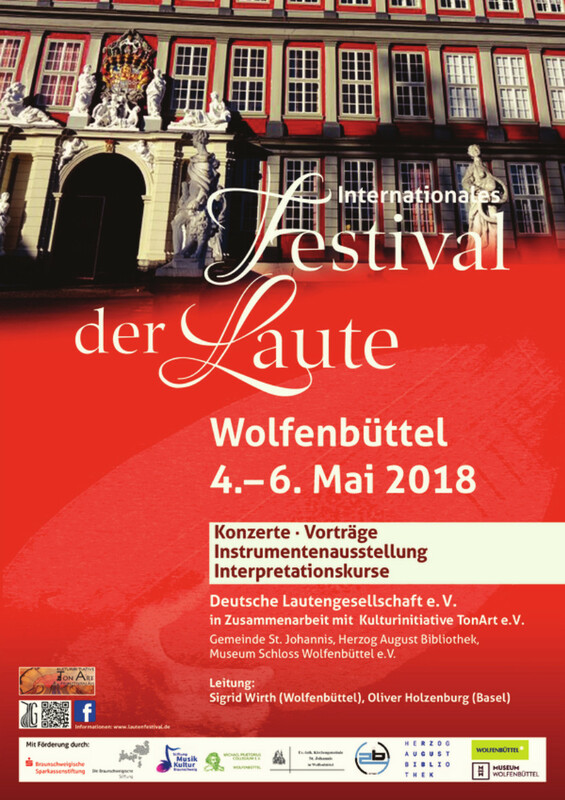 Please, have a look on our website where you can find information about lutes - and of course the activities of the German Lute Society. Unfortunately not all pages are translated. We hope to move forwards with this by and by. The menu is complete, but in some cases you will be taken to the German version of the page. 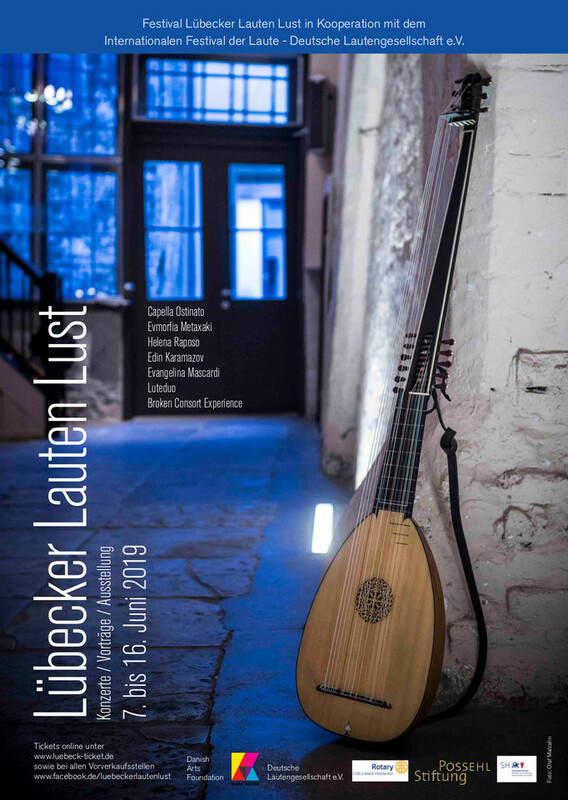 Members of the Lute Society can order a Festival Pass at a special rate, valid 14th – 16th June, from festival@lautengesellschaft.de. 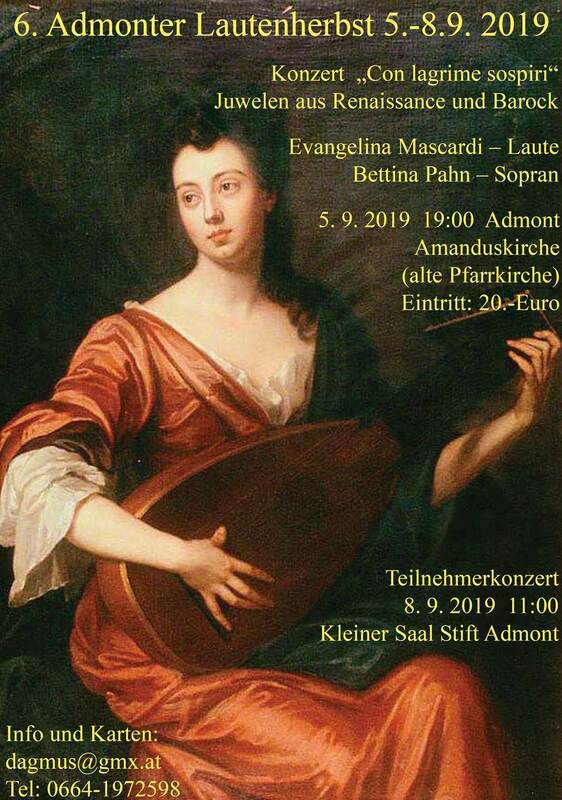 The German Lute Society (DLG), in collaboration with the University of the Arts Bremen (HFK), is pleased to anounce the 1st International Conference on Lute Study in Higher Education, which will take place on September 27th-29th, 2019 in Bremen. The purpose is to explore diverse subjects of interest to lute teachers and students through presentations and discussions. Speakers will be current and former lute teachers at institutes of higher learning around the world, as well as guest speakers with individual areas of expertise: Anthony Bailes, Pascale Boquet, Paul O’Dette, Xavier Diaz-Latorre, John Griffiths, Joachim Held, Jakob Lindberg, Michael Lowe, Nigel North, Franco Pavan, und Bor Zuljan. Peter Croton (Schola Cantorum Basiliensis & Bern University of the Arts, President - German Lute Society), and Joachim Held (University of the Arts Bremen & Royal Conservatoire in The Hague). For more information you can download the PDF-document. Volume 2 of “Music for Renaissance Lute” includes 54 easy-to-intermediate pieces for 6-course lute from 16 th century Italy, Holland, England, France and Germany. 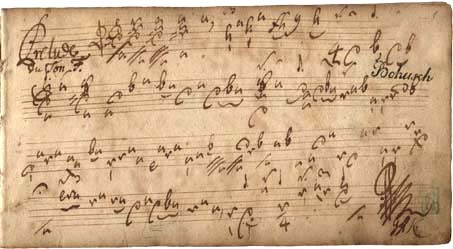 The music has been chosen from different lesser-known sources such as: the Cavalcanti Ms., Thysius Ms., Ballet lute book,as well as prints by Attaignant, Le Roy and H. Newsidler. See also Literature / Publications. 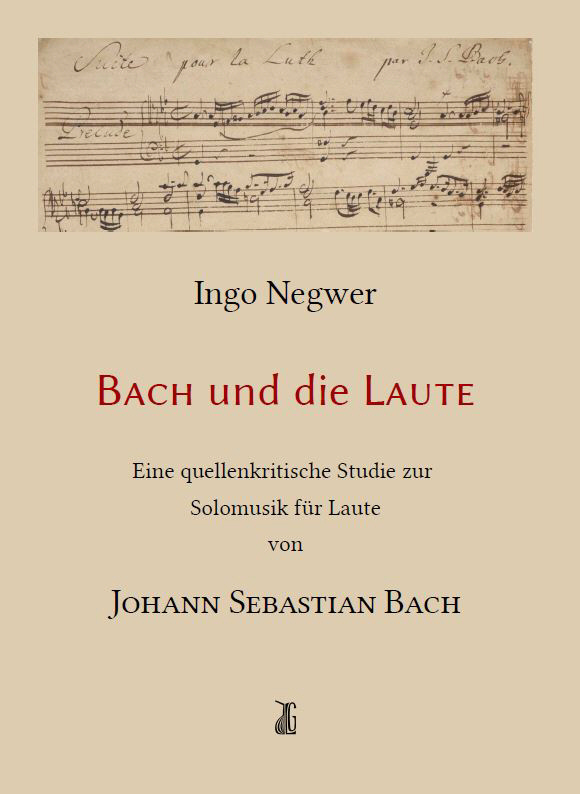 Ingo Negwer’s book “Bach and the Lute” has very recently become available – a critical study of the solo music of Johann Sebastian Bach based on the sources (launched at the Lute Festival in Wolfenbüttel). You can read more about this under Miscellaneous / News Items. 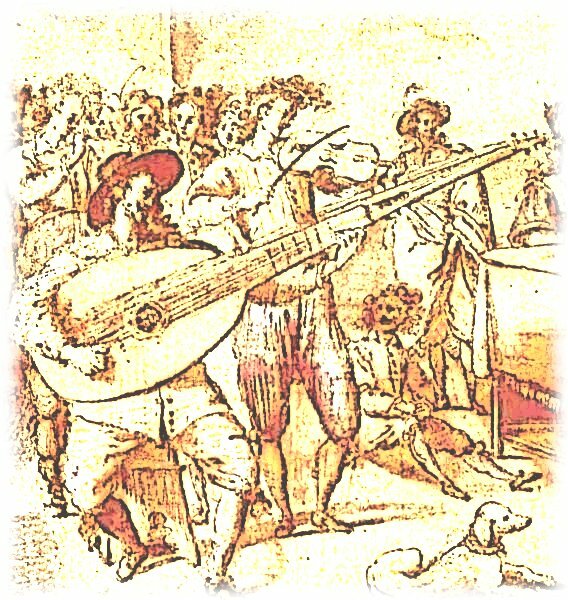 At the Lute Festival in Füssen, this edition for the renaissance lute was launched, as a publication by the German Lute Society in collaboration with the Société Française de Luth / SFL. 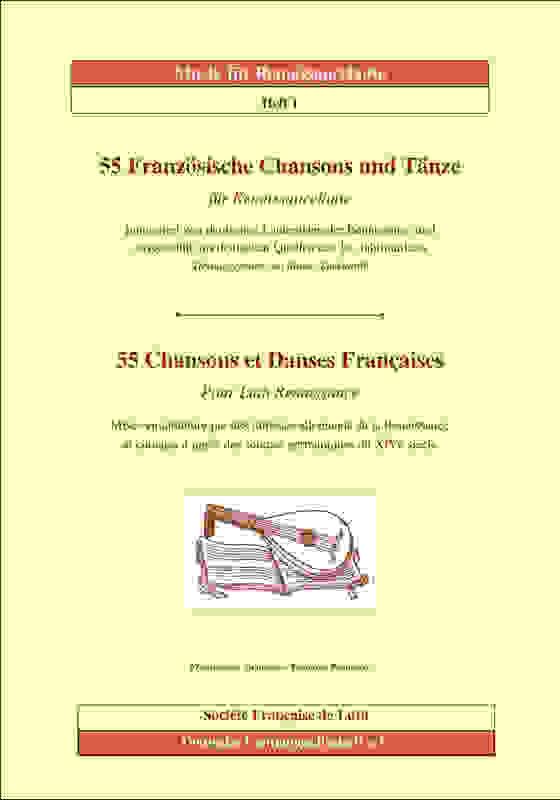 It contains 55 intabulations of chansons and dances from French originals that were arranged by German lutenists of the renaissance. Many of the arrangements are those of Hans Newsidler and Wolff Heckel, for whom French music was evidently particularly attractive. Other anonymous tabulatures originate from various manuscripts (for example Munich, Donauschlingen, Basel, etc.). Pascale Bouquet has recorded two pieces from this edition and made them available on YouTube. Here is the link. Contains 35 pieces for 11-course baroque lute (some of which are in parts) and a suite in three movements for 6-course mandora. Dirk Hippen is currently responsible for the management of memberships. Please inform him of any new or expiring memberships and any changes of address. Members, who wish to receive Info, Beilage and Jahrbuch (Info, supplements and yearbook) online only in future, should please send a note to this effect to the membership management (kasse@lautengesellschaft.de).